I grew up in Irondequoit NY, once controlled by the Seneca Tribe of the Iroquois Confederacy. (Irondequoit means “where the land and the water meet, as it is located along the shores of Lake Ontario.) They were the “guardians of the western gate” and protected the land. Our high school mascot was an “Indian.” Our teams were the “Irondequoit Indians.” Our mascot was the face of a Native American chief in the colors of gold and blue. This mascot was chosen to honor the history of our area and to demonstrate the power of the the Seneca tribe. A few years after I graduated high school, it became politically incorrect to use the word, “Indian” and they changed the name to Irondequoit Eagles. Same colors, only the plumage was on a bird instead of a person. I was personally sad when they changed the name. We were taught early in school about the Iroquois people and I developed a sense of connection and deep respect for these people that once lived where I sat to learn. Changing the school’s mascot seems to have buried a part of the history of my town that is so important for us to remember. I recently wrote a company profile about Native American Nutritionals and Rocky Mountain Oils. A couple of people expressed concerns about the name of the company in the comments of that article. Below are the questions I asked Paul Dean, owner of Native American Nutritionals and his answers that he provided via email. I received products free of charge from Native American Nutritionals and Rocky Mountain Oils in order to write a comprehensive company profile that includes my personal experience with the oils/products. This post contains affiliate links, which means that if you click on one of the affiliate links, Marvy Moms will receive a percentage of any sale. This does not affect the amount you will pay for an item or service and in no way changes opinions expressed by Marvy Moms or Marvy Moms writers. For more info, see Marvy Moms Disclosure Policy. There have been a couple of comments in the article about NAN’s affiliation with the Native American people. If you have a comment for this, I’d be happy to add it as an update within the article. “We are in the process of doing some great things with the company that will be showing up in four months. (Like a name change but it still has its Native American roots.) So there will be a bit of changes and we will need to update some blogs then. Now to answer your questions: How the whole Native American Nutritionals got started is a bit complex. Basically my main family line immigrated from Europe and I am the ninth generation being born here in the USA. Of course with that long line of a genealogy there was quite a bit of intermixing in my family history with the Native Americans. (Like most family trees back then it was hidden. For example I just found out a couple weeks ago that my wife is a minimum of 1/16 Cherokee when her mother told her about the genealogy she was doing.) In 2003 I had my blood work looked at and they confirmed I also had Native American Ancestry. Now prior to 2003 I felt called to learn more about the Native Americans and their practices. I attended quite a few sweat lodges, talking circles, and so forth. (Just recently my last sweat lodge I attended was run by a full blooded Cherokee Medicine Woman.) It was in 2003 that I heard about two things — one, the recant updates to the laws in regards to natural medicine; and two, the Native American herb of Tsi-ahga from a Medicine Man. Even though I am Christian, I joined the Native American Church at that time and became a Medicine Man with the specialty, education, and training in essential oils. The head of the Church did not know anything about essential oils so he was happy to have me aboard. At that time I decide to start a supplement company called Native American Nutritionals and use the Tsi-ahga in our supplements. 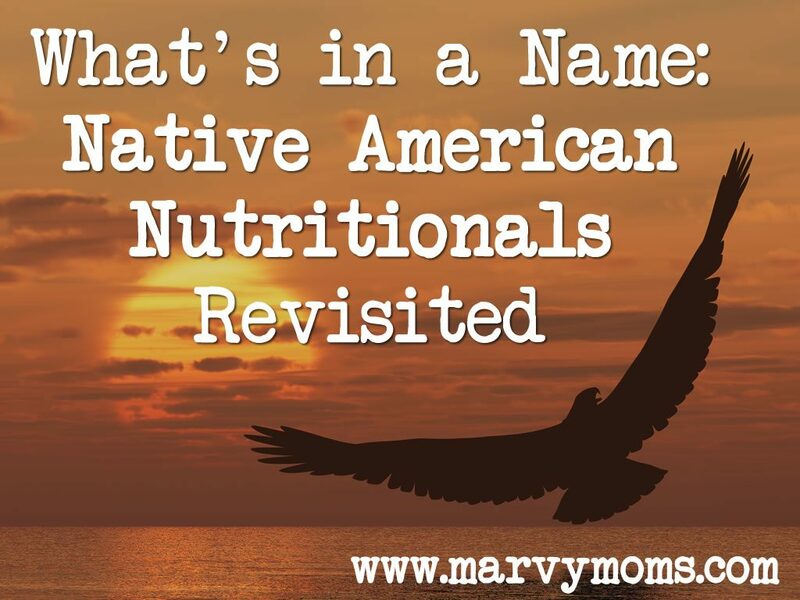 (Hence the name Native American Nutritionals.) We were a certified manufacturer for their branch of the Native American Church and supplied them the high quality supplements to assist in their healing practices. 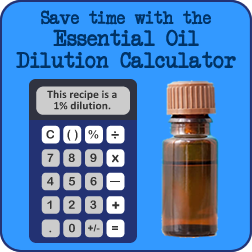 So over the next year or more I had an essential oils company that was selling the oils called Health Quest International and the supplement company called Native American Nutritionals. I then decided on merging the two companies together and my customers decided they wanted to keep the Native American Nutritionals name. In 2009 I moved to Missouri and was given the authority to establish my own Native American Church here. I hope that explains a little about the Native American Nutritionals name — basically it was because we were going to launch a complete line of Nutritional products using the Tsi-ahga and other Native American herbs that we called it that. Now in response to the other comment of — “I hope people don’t think that by joining the Native American church they are automatically exempt from the law.” — I hope so too. Just because someone joins the Church they still have to follow the laws and then qualify for the exemptions that they can qualify for. The average person using essential oils to try to heal someone is called practicing medicine without a license in most states. This can land them in jail. Now where the Native American Church comes into play is that it allows people to qualify for an exemption. The Religious Freedom Restoration Acts (RFRA) requires exemptions to generally applicable laws if those laws would substantially burden a person’s exercise of sincerely held religious beliefs and that these exemptions be regulated in the least restrictive manner that is necessary to further the government’s compelling interests. Now with other religions there has been some issues with how the Judge interprets that person’s religion. (Many cases where Christians tried to use the exemption and the Judge said NO!) Since the Native American Religion is also protected by acts of Congress, going for the RFRA exemption offers a lot more safety and does not allow a Judge to interpret your religion. The Oklevueha Native American Church (ONACMO) was set up to offer protection to healers and families regardless of their other spiritual beliefs. ONACMO can assist individuals to develop their legal protections by developing associational relationships that develop an individual’s religious sincerity and by taking steps to satisfy the government’s compelling interests. Spiritual Adoption as a member of ONACMO is a personal ceremonial recognition that the religiosity of an individual’s intentions is compatible with ONACMO fundamental beliefs. Anyone at least eight years of age who declares they feel called by the Creator to be a healer of people, animals, families, communities, society, and/or the planet; and who commits to studying and doing good works regarding natural medicine and traditional healing; and who pledges to contribute to the church and the development of local chapters according to their conscience and ability will be accepted as a member. Members are encouraged move to the next level of protection and we propose them to do a Bundle Ceremony that is personal to the Member’s sacred beliefs and practices. ONACMO will review and sometimes make suggestions prior to approval of a Member’s Bundle Ceremony if it is compatible with ONACMO fundamental beliefs. Membership and approval of a Member’s Bundle Ceremony do not in and of themselves give an individual any legal protections, but they do give some evidence that an individual’s declared intentions are religious—which is the first essential element to assert legal protection of an individual’s exercise of sincerely held beliefs. The second essential element to assert such legal protection of an individual’s rights is to be able to demonstrate the sincerity of the individual’s declared religious beliefs. Some ways individuals can demonstrate such sincerity are by participating in various ceremonies offered through ONACMO, developing their knowledge and practice of natural medicine and traditional healing to become certified as ONACMO Medicine People in the pursuit of their realms of interest, and contributing work to support ONACMO. By demonstrating an individual’s beliefs are religious and that those beliefs are sincere, the legal burden of proof to deprive the asserted protection of such individual rights shifts to the government that might want to enforce a generally applicable law. The third essential element necessary to assert such individual legal protection is to determine whether the generally applicable law is the least restrictive means to further a compelling government interest. Some ways ONACMO demonstrates less restrictive means of furthering the government’s interests regarding natural healing and so forth. I am once again impressed with the openness expressed by Paul Dean. He is someone that follows his intuition and heart. The fact that he has Native American blood in his body is interesting, but it is not as important to me as the respect he has for the traditions of the Native American people and the relationships he has developed as a result. I’ll be interested to see what the name change will be and what new things they have planned for the future. I’ve asked Paul Dean to keep me apprised of changes happening at Native American Nutritionals and Rocky Mountain Oils. Stay tuned and I’ll be sure to pass along what I find out to you.